A day in the life of a Bronzie. It’s probably more interesting than you think. Before I begin this magical journey into the bronze life let me give you a quick cover story of what this is about. This enchanted tail is not only a story, but a glimpse into the soul of every bronze life player in League of Legends. The reason bronzies still play the game and I’ll do my best to give you the feeling of what it’s like to be bronze. Ready? Lets begin! As we sit down preparing to start our session with our Mt. Dew beside us we mentally prep for battle. We think of the many foes we’re going to slay this day and bring to their knees. We look our builds up on LoLKing and, if we have it, place it up on our second monitor. In this way we feel more secure for battle. We know exactly what we’re going to build! And we build the same exact build every single game! Now our Mt. Dew is half empty and we’re ready to log in. We’re excited it’s the first match of the day coming up. We log into TeamSpeak and get in chat with our fellow bronze life friends. They too have came ready! Looking up the current god tier champions and playing them because they must be the best right? God tier = win! We’re now in the lobby of a normal game. We call our position and someone calls first. We pick our champion and auto lock anyway because in reality we know we’re the best. We will do a much better job than this other scrub in our lobby. Your friend covers for you letting the team know you called first on his screen. The ultimate deception and there’s strength in the numbers! The game begins and you’re in loading screen. Reading the tip in the middle because you know knowledge is power. Everyone’s toaster PC and wooden laptops complete loading. It’s time to begin the game. Your the jungler. You feel as if you were born for this role to carry the team. You love it because you don’t want to waste your skills on getting better at cs’ing. The only cs you’re worried about is your champion score. Minions meet in the middle and you’ve cleared your first buff. You continue your route while watching the lanes to figure out your first potential gank. You notice the enemy top lane pushing in and figure you can make a gank. Your life is low after taking the second buff, but your such a god you won’t even lose the 20% health bar you have left. You swoop in from behind pining your ally with 15% life to assist you. He continues to back and you begin to panic! What should you do your ally is a total noob and decides to leave you. You’re slain by the enemy top lane. You know it wasn’t because of his full hp or the fact you were low life. It was the fact your ally didn’t help you. It’s 100% your top lanes fault for your death. You shrug it off as you respawn, but deep down you must reclaim yourself! It’s time to reclaim your kill top lane. You’ve decided to go top again for another gank. Your top laner pings you away, but you know better. You know you can claim this kill and make up for what was lost. You again get perfect positioning from behind and attack the enemy. You didn’t notice he was 2 levels higher and has his ult, but you’re not worried. You attack ferociously as your ally comes up to help. Your top lane gets to you as your life reaches an alerting low level. You flash away in hopes of escaping, but the enemy is to strong. You’ve been slain again. Your ally shortly after falls in the line of duty with you. You’ve made up your mind and to you the game is over. You and your top lane are still trash talking back and forth. You decide to feed top lane to really make him mad. You think it’s the ultimate troll and couldn’t possibly imagine a better way of upsetting this player. You run forth several times into the top lane enemy tower. Each giving the enemy another kill. The game ends, the name calling, reporting, and trash talking is over for this game. You take a quick break after the game and rethink what all happened. You realize deep down none of this was your fault. 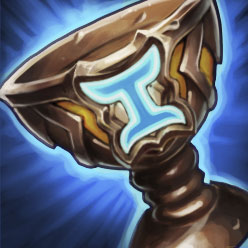 Your jungle champion is god tier. There’s no way it could have possibly been anything you had done. You look up another build on LoLKing. You refill your Mt. Dew and prepare for another battle. Maybe you won’t have such a bad team this game right? I wrote this article to demonstrate the League of Legends mindset. So many players within the League community are toxic and full of hate. It’s honestly the most toxic community I’ve ever seen. Hopefully one day Riot will do something and make some changes to their system to better handle the toxicity. We all want a better more inviting community. No matter what game you play. For now we can only wait on Riot. Until then we’re all living the Bronze Life.